I order takeout a lot, and I love JustEat! JustEat has revamped their Member-Get-Member Program! 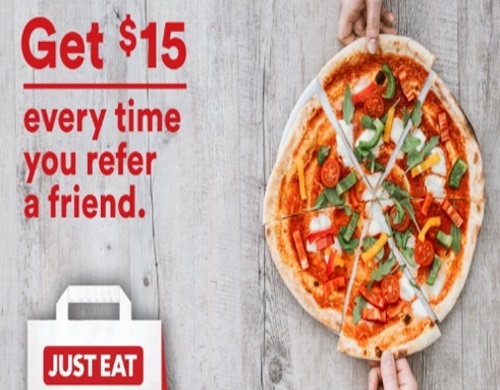 When you refer people to JustEat you can get $15 off your next order! That's huge! Even more exciting: every person you refer also receives some free money too. 1. Place an order on Just Eat, and receive a shareable link to send to all your friends. 2. Once you share the link, the person you referred needs to create a Just Eat account. Once they place their first order, $5 will be credited to their account, which can be put towards the next order. 3. The day after your referral’s first order is placed, you’ll find $15 added to your Just Eat account! 4. Refer as many people as you can; the more that join Just East = the more money you receive. They say sharing is caring, right? Click here to try JustEat for yourself.